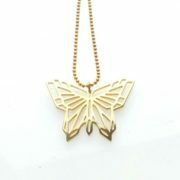 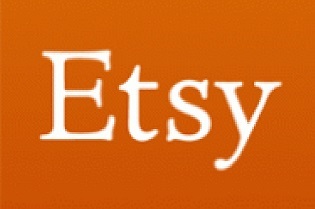 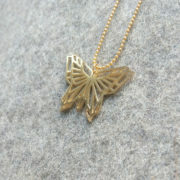 For a butterfly with a gothic charm, check out this gold butterfly pendant. 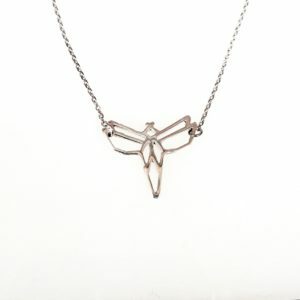 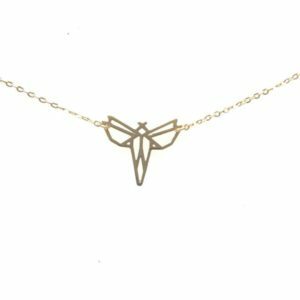 The butterfly design is unique and was designed by me, capturing the essence of a butterfly in lines and geometry. 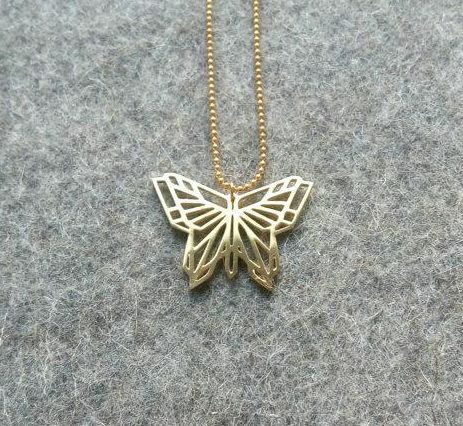 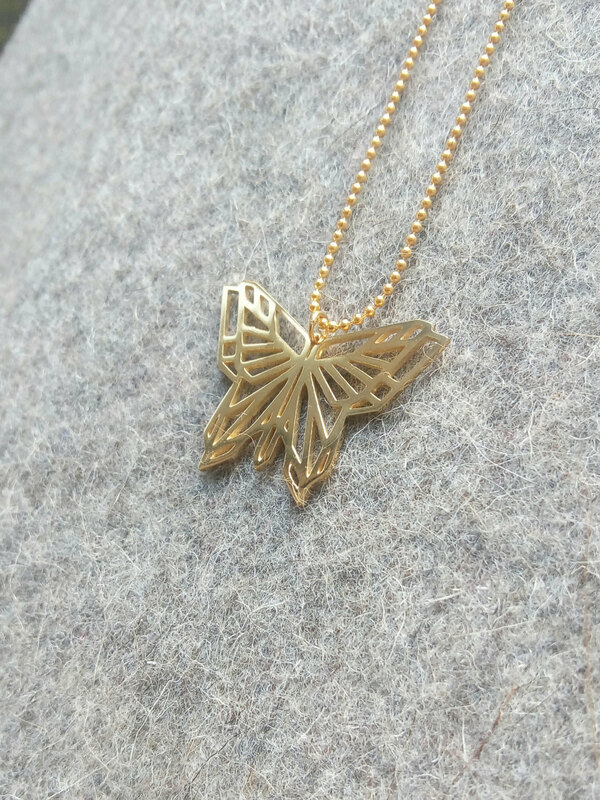 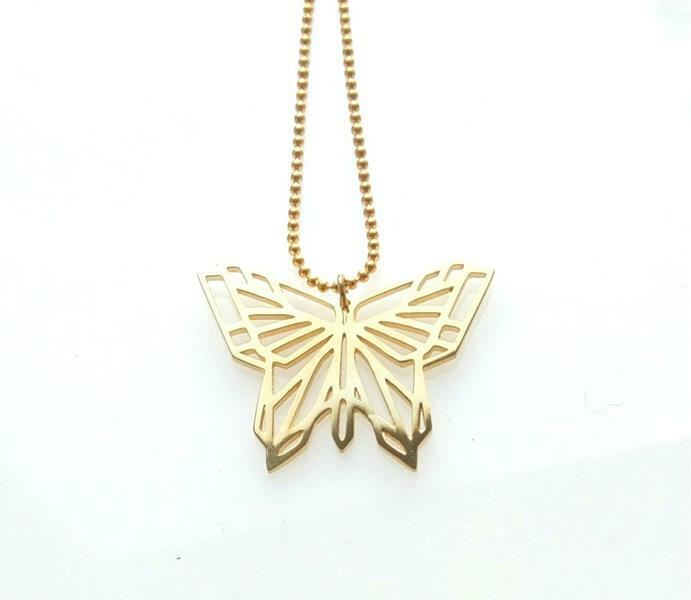 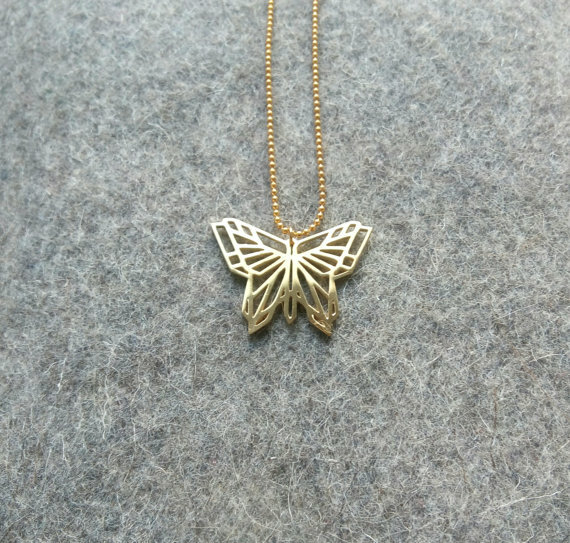 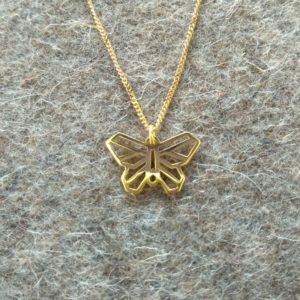 This butterfly is 3D printed in wax, then cast and goldplated. 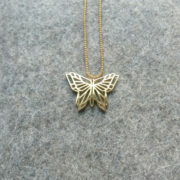 This pendant is approx 4 cm high and comes with a 75cm goldplated chain (let me know if you would like a shorter chain).